Matthew is back from the dead and he joins Dean to discuss the only film that John Carpenter ever directed that got an Academy Award nomination. That’s right! 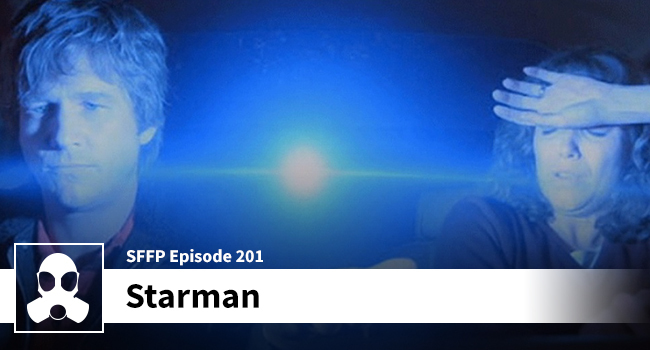 Jeff Bridges got a nod for Best Actor from his performance in Starman. Matthew was delighted by Jeff Bridges’ portrayal of a alien who fell to Earth. Dean, an admitted Bridges fan, landed on the opposite end of the “Bridges is great in this movie” spectrum. Dean is on record saying that Bridges, at times, was “very punchable.” They both agreed that the military stuff in the movie lacked any nuance, but they are both on-board with the structure and pacing. Join the lads as they take a romp through 80s science fiction.